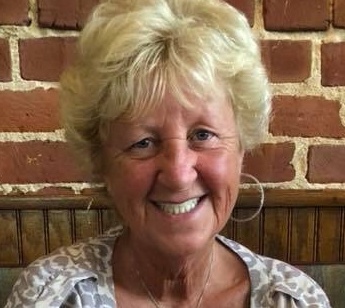 Linda K. Meny, age 60 of Newburgh, Indiana, formerly of Jasper, passed away on Sunday, July 22, 2018 in Whitestown, Indiana. Linda was born in Springfield, IL on July 5, 1958 to Francis and Clementine (Christian) Ward. She married Mark Meny on April 20, 2002. She was a nurse who worked at several Jasper long term care facilities and recently for an Evansville pain specialist. She enjoyed vacations, especially cruises in the Caribbean. She also enjoyed animals, and loved spending time with her family, especially her grandchildren. Surviving are her husband, Mark Meny, Newburgh, IN, two sons, Derrick Lottes (Tabbatha), Morgantown, KY, Ryan Sutton (Brittney), Whitestown, IN, three grandchildren, Rosalyn Lottes, Hayden Whittinghill, and Tyson Sutton, seven sisters, Sue Schoenbachler (Joe), Jasper, IN, Rebecca Hill (Charles), Booneville, IN, Teresa Knebel (Jeff), Haysville, IN, Fran Leibering (Richard), Huntingburg, IN, Rose Wade (Bill), Loogootee, IN, Michelle Stutsman, Huntingburg, IN and Barb Young (Mark), Jasper, IN, two brothers, Bill Ward (Pat), Jasper, IN, and Tony Ward, Boonville, IN, and one sister in law, Ann Ward, Jasper, IN. Preceding her in death were her parents, one sister, Ann Main, and two brothers, Lawrence and Ernie Ward. Funeral services for Linda K. Meny will be held at 9:30 a.m. on Thursday, July 26, 2018 at St. Joseph Catholic Church in Jasper, with burial to follow at a later date. A visitation will be held from 4:00 p.m. until 8:00 p.m. on Wednesday, July 25, 2018 at the Becher-Kluesner North Chapel in Jasper.